What is referred to as an “Initiate” is someone in which their Higher Self has coalesced with the personality and incarnated within their body in a fully active and aware state. 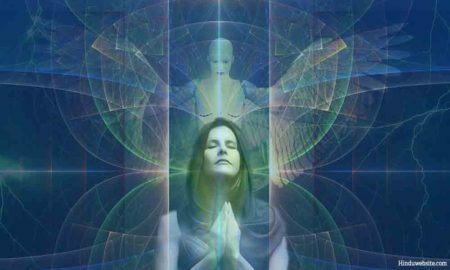 The Higher Self typically exists in a dormant state within the subconscious mind until it’s awakened and activated through deliberate intention and willful actions. The process of initiation entails returning the personality of the lower self to a neutral state where it acts as a passive receptor for the Higher Soul and whose main function become maintaining all biological processes of the body and the habits that involve daily living, allowing the Higher Self to reside as the main consciousness that’s looking out through the eyes of the body and consciously producing experiences of itself. The Higher Self is not identified with the personality of the body, which lives out of a conditioned state in a fundamentally unconscious manner, but is of a more universal and individual nature. The personality is a product of the genetic constitution and conditioning of the body, making it a product of and prone to the activities of the group mind, where, even though it appears to be somewhat unique in terms of its personality, lacks any real sense of individuality and the ability to self-create and be self-determined. It simply lives out of the dynamics and memories it was conditioned with and faithfully repeats habitual perceptions and thought processes producing the same emotional states over and over, and behaves in a habitual and predictable manner. The personality of the body is produced almost entirely out of an unconscious state of early childhood, where we are literally shaped by the group mind of which we are a natural, functioning part of. Through our initial training and formative education we become a coherent and congruent part of a certain sector of society. From a genetic perspective we possess the memory of our family and ancestors, as well as our race and culture. These types of memories and the realities they produce come out of our feelings and intuitively as a form of instinct that gives us a natural disposition, temperament, tendencies, and impulses. We have notions about things that produce feelings and emotions that form the basis for our thoughts and imaginings as the realities of memories that were correspondences to our ancestors. Through shared DNA and conditioning, we’re born with the same predisposition and tendencies as our parents and grandparents, while also being trained to the same dynamics of our family line which act to fully develop the same patterns as beliefs and behavioral dynamics that co-create a certain type of reality as a joint-experience. As we grow into adults, we are fully trained to the group mind of our family and heritage and simply live our life by carrying on and repeating the same patterns over and over, while birthing and training our children to the same tendencies and dynamics that we were. In this way the fruit doesn’t fall far from the tree, like father like son, and the sins of the father is carried on for seven generations before it’s broken or consciously transformed. All growth and development take place typically in seven year increments as stages of development that produce a full scale. Once we become actual adults, around 28 years of age, we’re fully functional in life and society as independent of our parents and family, yet carry on the same conditioned patterns and relationship dynamics as our family. We continue to perceive the world and others through the perceptual filter and model we’ve been energetically imprinted with, which becomes the “illusions” of the lower soul as the internal representations and story we’re always in the process of telling ourselves and living out of in place of the actual, neutral, and non-personal reality. We unknowingly exercise our minds ability to shape reality through the shared delusions we’ve been programmed with subconsciously from an early age. What we refer to as the Higher Self or Soul, exists within us in a latent, potential state, and comes through what we call the witnessing faculty of the mind that views things from a detached, non-emotional, neutral perspective. This aspect of the mind doesn’t get caught up personally in the day-to-day events of life, but always seems to be tied into and experiencing life from the perspective of the bigger picture or larger story that’s always playing out in our life. 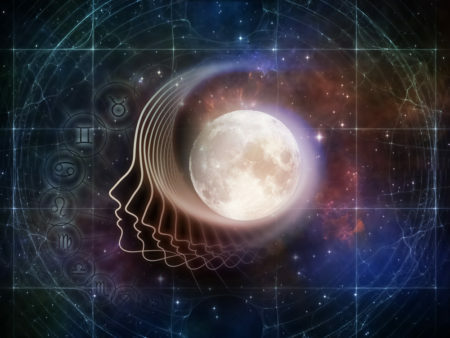 The Higher Self is not a part of the personality that’s identified with the body or group mind of the personality, but is a highly individual, non-personal, and more universal identity. It’s not conditioned and formed by its association with the personality, but uses the personality as a vessel and vehicle for creating experiences of Itself by willfully exercising its creative ability from a fully self-aware and conscious state. The Higher Self, being of a universal nature and identity, isn’t fixed in form like the personality and body, but is creative and in a constant state of transforming and evolving through a flux and flow process of absorbing, becoming one with archetypal forces as qualities of consciousness that produce physical attributes and form specialized perceptions of reality as a larger, overall story. It exercises its ability to choose qualities and become “one with them” in body and mind, using them to willfully self-create and create experiences by way of them. The Higher Self isn’t prone to or controlled and determined by the impulses, passions, and emotional states of the personality. 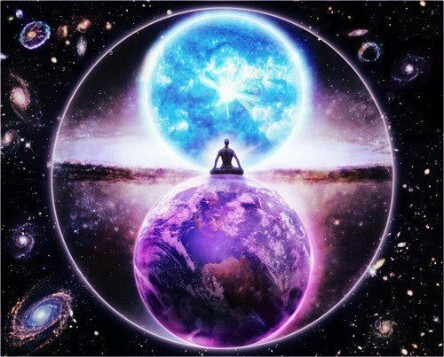 The lower self of the personality and the Higher Self of individuality exist on parallel dimensions within the same greater, overall dimension in a state of polarity and harmony. This means that anytime one is in an active state, the other is in a passive or latent state. Whenever we’re actively utilizing our personality and conditioned tendencies to create our life and experiences, our Higher Self remains dormant in us as a form of higher potential. The individual can’t manifest within the animal, group mind of conditioned behavior that lives out of shared illusions, and so the only way the Higher Self can become active as our primary consciousness is by rendering the personality passive and inactive. This is what forms the idea of “self-sacrifice”, where we surrender ourselves to a higher purpose and cause, giving up all passions, desires, and agenda’s as conditioned dynamics that we do impulsively and without actual awareness, that we then mistakenly identify with as being our “true self”. All instinct is emotionally driven and produces illusions out of the memories associated with them as automated processes that we do without any actual awareness or realization. These emotionally reactive states keep us living out of the memory and attitudes of our conditioning and personality where we simply repeat unconscious patterns to create all of our life experiences and “become” by way of those experiences. As we live out of passions and desires of the material world and our animal nature, we render our Higher Consciousness passive and we shape ourselves (produce memory) to be “animal-like” and determined by others and our identification with our animal-body. As we form our identity with the material world (false ego), we bond our soul to the lower plane of the group mind and unconscious creation where we fail almost completely to realize our true nature and creative abilities. 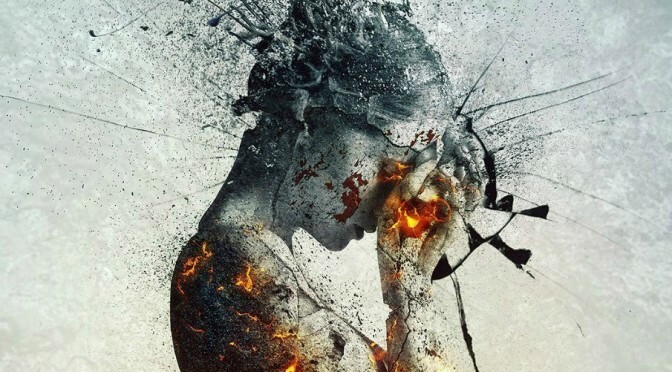 We fail to realize our true identity as creative beings that are unique individuals based on our ability to become aware of the power of our mind to shape ourselves and reality, through the use choice and free will. We wake up within our own lives and break preconceived patterns and create in a more conscious manner instead. When we give up our unconscious, instinctual nature and all the personal agendas of the personality motivated by emotional impulses of some kind, it causes us to awaken and allow higher awareness to become our primary perception and dominant awareness. Where we separate ourselves from the group mind and all automated patterns and tendencies and exercise our creative ability to become unique individuals of our own making. 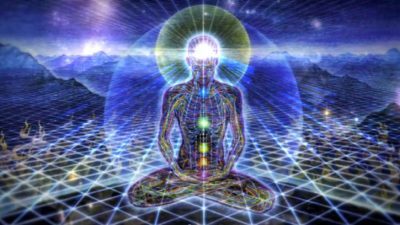 This “switch” as a process of self-development from our lower self being active and dominant to the Higher Self becoming our primary awareness and consciousness is called Initiation. In order for the Higher Self to manifest through the brain consciousness of the body, the personality has to be tuned to the same key as the individuality. Our individuality of the Higher Self carries on its normal existence in the spiritual world, just as the personality does in the material world, where its only desire is maintain a sense of harmony with the world around it. All desires of the personality come through its desire to maintain harmony and be one with the world around it. 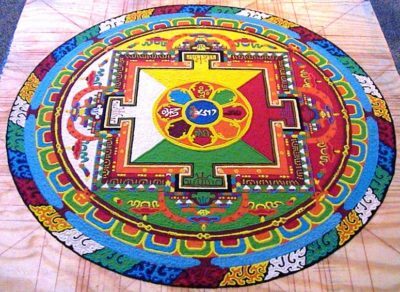 The personality therefore, has to undergo a considerable shift and completely re-orientate itself in order to come into the necessary alignment with the Higher Self. It has to become of the same nature as the Higher Self in order to become an appropriate vessel for it to manifest. The Higher Self can only be “drawn into” or “rise up within” the lower self through resonance. Our motives have to change in the most basic sense of the idea. We have to become “single-minded” in purpose that willingly makes any sacrifice necessary. Initiation requires us to willingly pay the price of personal transformation by detaching from all association and identification with the physical realm, which is temporary and mortal. This is what’s expressed in the idea of “being in this world but not of it”, and “sell all of your possessions and follow me”. We have to derive our total sense of self from our spiritual, divine universal nature, not from our personal reality and material possessions and position. 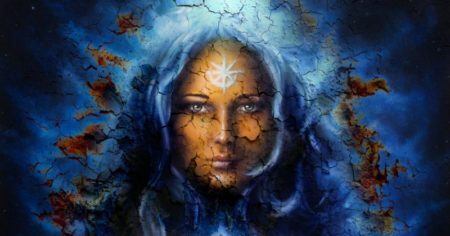 The personality and all things of the senses have to be sacrificed in order for the Higher Self to manifest. This often produces a tremendous struggle as we break the bonds that attach us to desires of the senses and our identity as a body located within space and time. But as soon as we have achieved this as a fundamental mode of being, the Higher Self begins to dawn within us, and we are restored with an overwhelming feeling of comfort and a significantly increased feeling of well-being and contentment. A kind of familiarity takes place that fills us with a true sense of unconditional love and we realize we’ve come home. We’ve liberated our own soul from the illusions of the body and a sense of freedom and profound awareness now fills us. As long as our consciousness is focused exclusively on who we are as a personality, we can’t contact or experience spiritual realities directly, but only sense them as a reflection within the world of form. 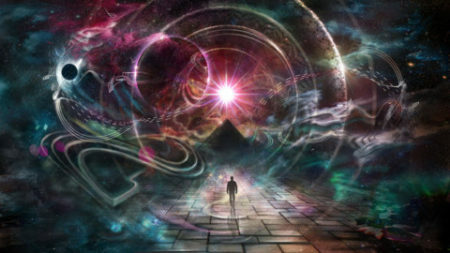 The true reality that we as humans are all a part of, is not the one of form, but as the spirit that animates the form. It’s the inner nature as the soul’s essence and consciousness that forms, holds together, and gives form to the personality. It’s the life-giving, animating, all-consuming force that grows and expands producing the entire material world. As the personality of the body is made subjective to the Higher Self, the Inner Light fills and illuminates it with a new inner form of direct self- awareness. The aim of the initiate is to bring the personality into a subjective state where it’s taught to obey the will of the Higher Self without hesitation or argument. It’s to condition the body so the Higher Self can utilize and function through it without any resistance or hindrance. We have to create a state where the senses and passions no longer keep us locked into a self-made delusion that misleads us and keeps us blind to the actual truth of our true nature and identity as divine creative Beings. 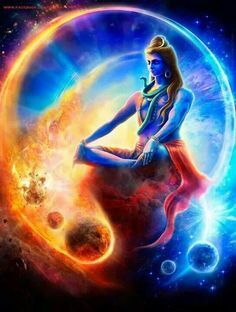 The Mystic and Initiate both render their personality negative-passive in order to become a vehicle for cosmic forces to manifest through. We create a state where we quiet our mind of compulsive thinking and become still and present, allowing a calm inner awareness to take its place. 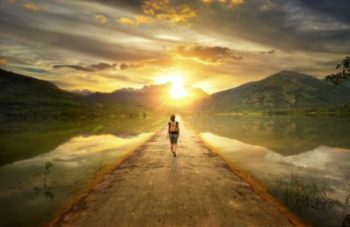 As we become inactive on the material plane, our spiritual powers as pure intuition find a channel into the group mind through meditation and contemplation. 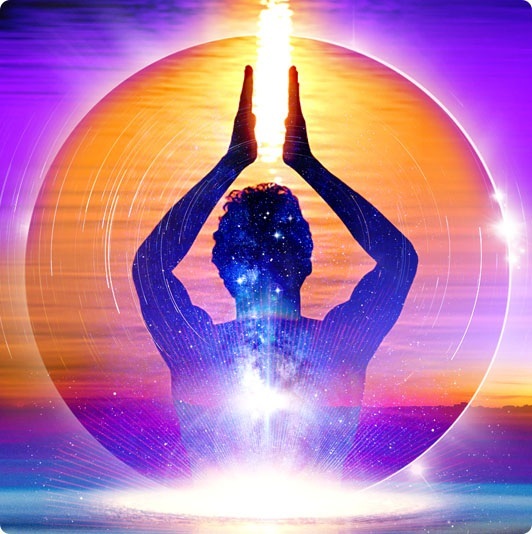 The Initiate and Mystic cultivate and sustain the consciousness of the Higher Self as their normal day-to-day awareness by maintaining a constant and ongoing form of connection through prayer as a meditative state. The Mystic works almost exclusively on and through the Higher Self, whereas the Occultist works with the spiritual forces (Elements) to shape form into the appropriate channels for Cosmic Forces, and brings the Higher Self into manifestation on the planes of form. What has often been deemed miracles is actually a form of magic that outwardly demonstrates the minds ability to work with material forms. 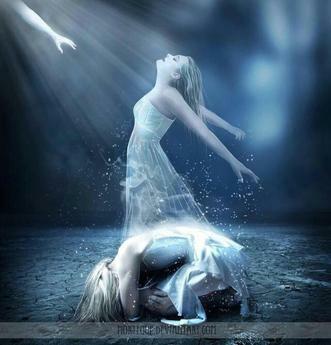 The soul reincarnates into a body based on whatever it maintains a connection with, desire for, or association with. 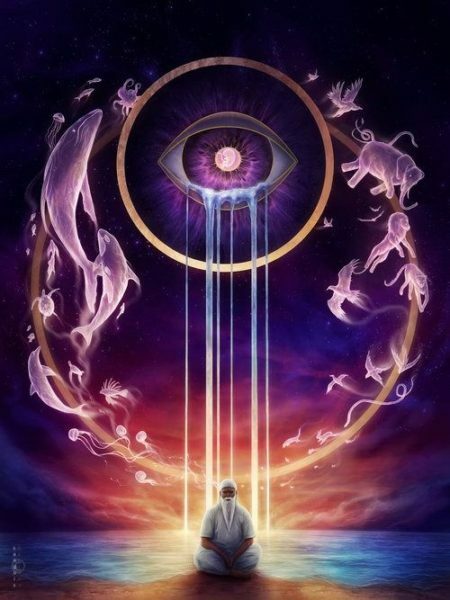 We tie ourselves to a constant evolution of soul incarnation into lower consciousness of the group mind through our identification with the desires of the senses and emotional connections to the patterns of our conditioning that forms what becomes karma. By giving up passions and personal gratifications on the physical plane, we break our bond and identification with the personality of the body, and are no longer incarnated into the physical plane. The soul exists in a natural state of freedom and individuality, and when incarnated into a body, is like a form of incarceration. This is where we get the term “cells of the body”, which is really made up of a single cell that multiplies and duplicates itself trillions of times. 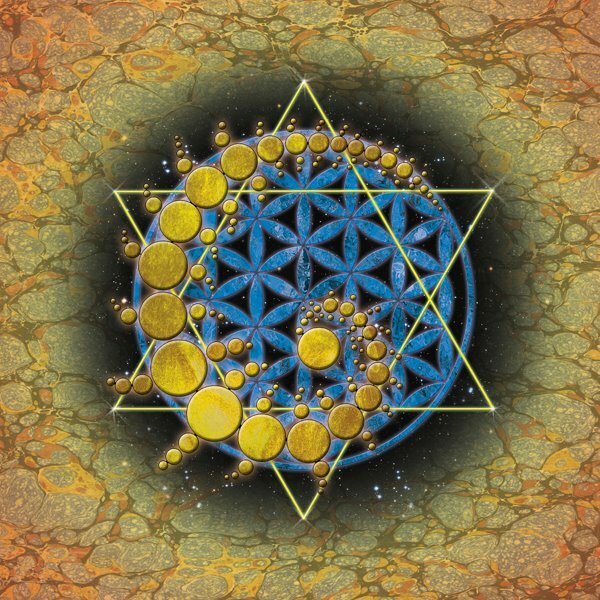 All creation comes by way of duality as polarity between complementary planes. It comes as an interaction of positive (active) and negative (passive) aspects of the same force. By working with the well-known energetic Law of Polarity upon the planes of force, we can learn the process necessary for freeing our own soul from the lower planes by becoming a neutral vessel instead for drawing down the Higher Consciousness of the spiritual planes. By neutralizing and making passive the personality of the group mind, which robs the Higher Self of its individuality and conscious self-awareness, we cultivate ourselves to be an instrument for higher powers to work through and we liberate our own soul from reincarnating into a lower life form. We become a passive vehicle for drawing in and giving expression to higher forms of consciousness at will. We take back and resume our natural ability to willfully self-create and determine the story we tell with our life as the means of creating our self through the experience it brings that we associate and identify with. By sacrificing our lower self as our personality and identification with our physical existence, we detach from the material and begin cultivating a non-personal, universal awareness as an individual that’s not determined by our conditioning and genetic make-up. 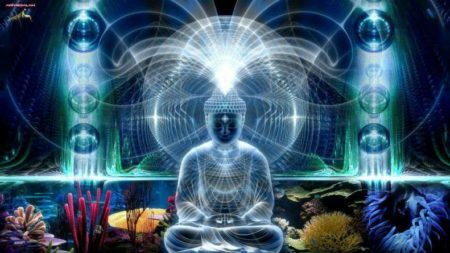 By employing and utilizing our higher consciousness we can act on ourselves to evolve the consciousness of our subconscious and DNA, which shares information through the unified field of the collective unconscious with all other DNA. 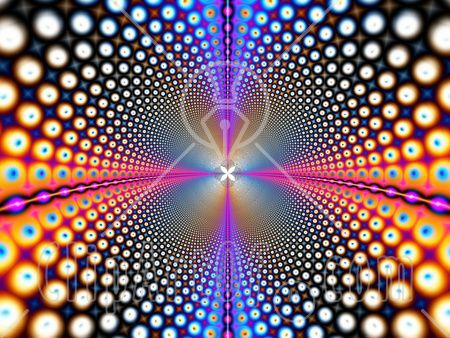 By re-informing our own subconscious and DNA we interject the greater mind of mass consciousness with new information and impose a subtle influence on all of humanity. 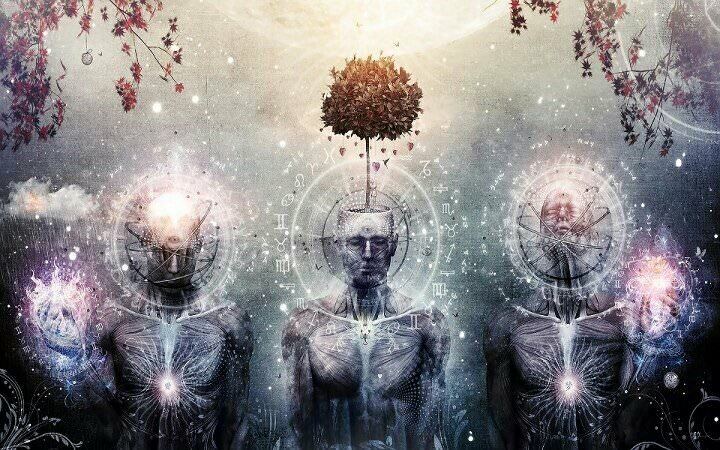 By giving our Higher Self access to the group mind of lower consciousness we can introduce and nourish a higher form of thought and awareness that will be available to the higher levels within the group mind that will come through a form of intuition and inspiration. 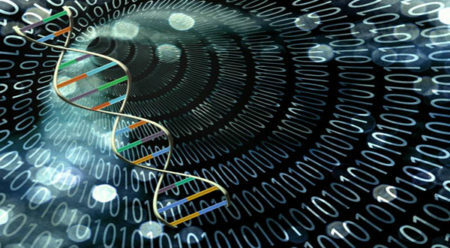 By providing our physical DNA with new perceptions and meaning, we literally reconstitute it with memory as a form of programming that evolves it beyond its unconscious conditioning as a continuation of ancestral memory and the tendencies produced by family dynamics, and into a higher level of consciousness as a new group mind of a higher order. DNA operates out of whatever memory it’s programmed with to produce automatic perceptions and behaviors as a form of instinct that allows people to live their entire life in a primarily unconscious fashion. Even when most become aware of their own tendencies born out of their conditioning, they have the tendency to justify it through the story they tell themselves about it that serves to defend it rather than rising above it all together by choosing to give up their story and employ new ways of being that not only break the existing pattern, but act to produce an entirely new pattern as a way of being that’s done intentionally and through a disciplined act. When we detach from our associations with our conditioning and material existence, no longer allowing emotions to affect (infect) us while actively engaging in the illusions that ensue from them in an unaware manner, we begin taking on a perspective of witnessing the events of our life from a neutral, non-personal, and objective perspective. We begin seeing ourselves in much the same way we see other people, from an emotionally detached and non-personal perspective. Once this happens we are truly in a position of being able to choose how we respond, and act to initiate and create in our life from an entirely different level of being. Because both the subconscious and DNA of our body is programmed by memory and simply creates the material equivalent as a metaphorical correspondence or thematic pattern that plays out on multiple levels and scales simultaneously, by changing how we experience life and creating in an intentional manner, we literally reprogram and transform not only our self as our mind and body, but also how the outer world appears to us. As we change internally, our perception of others and our environment changes accordingly. As we evolve our mind, which is very malleable, we simultaneously evolve our body and genetic memory, which produces an equal affect in all genes of the same nature, and provide new types of memory for future generations that share similar genetics. Likewise, as we form new experiences as perceptions that reform the informational structure of our subconscious, we inject new information into the mind-field of the collective unconscious and it becomes available for others to access as a form of intuitive insight and inspiration. The brain of the body, produced by our mind and DNA, doesn’t produce consciousness itself, but rather acts as a tuning device for accessing and receiving information from the greater mind that’s of the same nature as its programming that comes as a natural form of intuition in humans and instinct in animals and plants. As we evolve ourselves through active use of self-realization, choice, and free will to break conditioned patterns, we simultaneously evolve all of mankind who are on a similar journey, and likewise serve to advance the plant and animal kingdom of lower forms of consciousness. As we illuminate our soul with Higher Knowledge brought into practice as experience that produces actual memory, we illuminate all levels of our existence simultaneously. As we grow, develop, and evolve our own mind and body, we simultaneously evolve all of nature and humanity in the same way. There’s always a back and forth movement between higher and lower planes as a relationship based on our ability to create our experience of reality, whether from an unconscious and unaware perspective, or from a fully conscious and self-aware perspective. When we create experiences of ourselves from an unconscious state of our lower, animal nature, we devolve our Higher Soul through identification with our own perceptions and experiences. 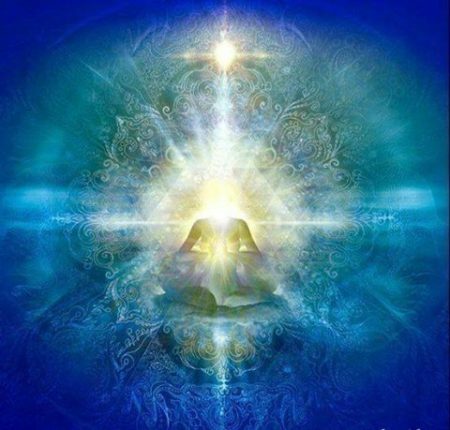 When we create our experiences out of higher consciousness as true self-awareness as a universal being within a conditioned body, we evolve the entire lower mind accordingly, as well as evolve and develop ourselves through acquired memory to a higher level by associating with our true identity as higher, divine, and self-created beings.